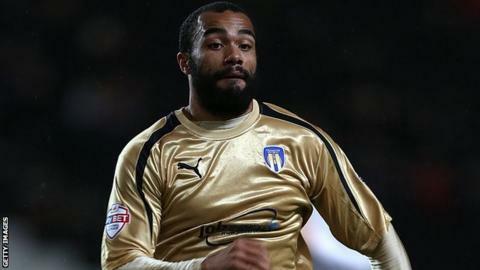 Wrexham boss Gary Mills says Dominic Vose should be "grateful" to the club following his move to Scunthorpe United. Vose, 22, says he left because he and the club were on their "last legs." Mills was disappointed with Vose's comments but insists he had no problem with the midfielder. "I'm pleased he's now a league player. But he should be grateful for having that opportunity because of what he's done at Wrexham," he said. "I haven't spoken with Dominic since he signed for Scunthorpe. "But it would be nice to feel Dominic might pick up the phone and say 'I've enjoyed working with you gaffer and thanks for helping me get to where I am now." Vose signed a two-and-a-half year deal with League One side Scunthorpe United on deadline day. Grimsby Town also wanted to sign Vose, who "didn't see the point" of joining a fellow National League side and rejected the offer to speak with the Mariners. "Accepting a bid from a rival club shows your intent," Vose said of his decision to leave Wrexham. "I felt my time at Wrexham had come to an end and Scunthorpe were willing to take me, so that is how it turned out. "I can't dwell on that. I had a good time at Wrexham but I'm happy to be here [Scunthorpe] now." Vose joined Wrexham from Welling United on a one-year contract in May 2015 and was the Dragons' top-scorer with 11 goals in all competitions this season. "Dominic had not been involved in the last couple and as always on deadline day he wouldn't have been the only one who got a call maybe at the last minute," Mills told BBC Wales Sport. "I decided with the offer Scunthorpe made and with Dominic out of contract in the summer as well that it was the right decision all round."